What are your travel plans this summer? Whether you’re planning a long weekend at the beach, a rustic camping adventure, or an international getaway, no doubt you’re excited about your upcoming escape. The house-sitter is booked, your bags are packed…but do you have everything you need to maintain healthy teeth while traveling? It can be easy to neglect your oral hygiene habits when out of town; after all, you’re away from home and out of your normal routine. However, with a little planning, you can avoid taking a vacation from your dental health during your summer travels. An ounce of prevention: Schedule your cleaning and checkup with your dentist prior to your planned vacation to ensure any potential concerns are identified and treated before you leave. Pack the dental essentials: Remember to pack your toothbrush, floss, and mouthwash. If you wear a night guard, pack that too! Protect your toothbrush from germs: Use a protective cover for your toothbrush that has holes for ventilation. Keep floss at your fingertips: If traveling by air, keep your toothbrush and floss handy in your personal item for easy access during the flight. In-flight tips: During long flights, drink plenty of water, avoid sticky snacks, and chew sugar-free gum. Let your toothbrush breathe: When you arrive at your destination, take your toothbrush out of its cover – a wet toothbrush can breed bacteria. Allow your toothbrush to dry thoroughly before covering it again. 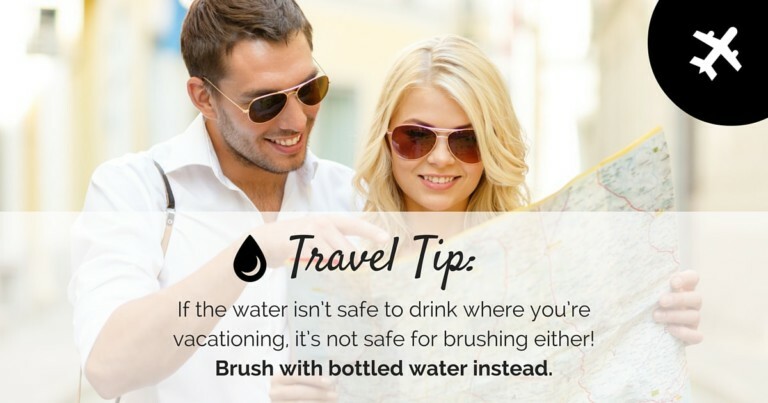 Water warning: If the water isn’t safe to drink where you’re vacationing, it’s not safe for brushing either! Brush with bottled water instead. Avoid dental disasters: Do not chew ice, hard candies, or other foods that could chip or crack your teeth. Play it safe and use bottled water when in doubt. 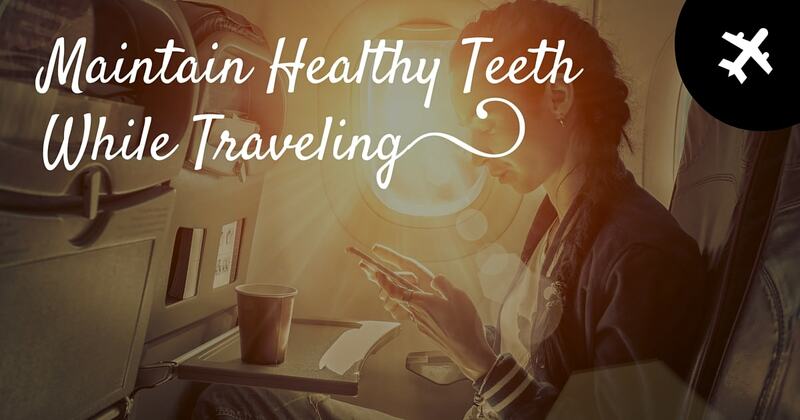 With a little preparation, you can enjoy your summer travels without neglecting your teeth! We want to hear: What are your travel plans this summer? Comment below!